The SHB-85 EX White/Gold/Black badminton shoes is the latest released badminton shoes from Yonex. This highly cool design shoes are used by many of the world class professional badminton players in the recent international tournaments including Lee Chong Wei (Malaysia), Taufik Hidayat (Indonesia), and Peter Gade (Denmark). Midsole: Hyper msLite, Power Cushion, Solid E.V.A. Double Russel Mesh - Super light weight and durable, this ultra-fine mesh provides 8 times more air-exchange performance than ordinary mesh for maximum moisture release. 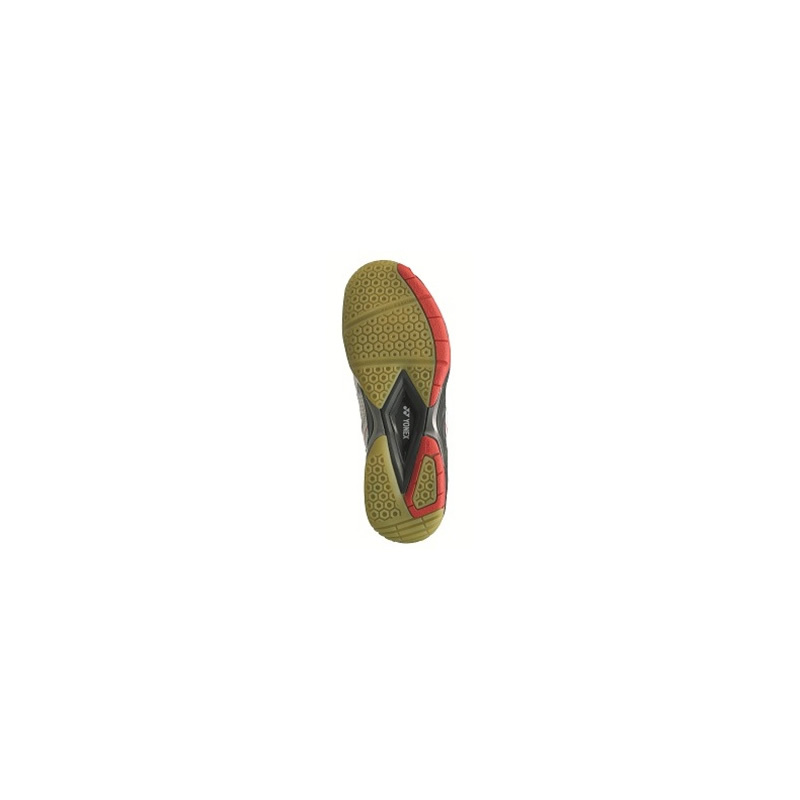 Power Cushion Insole CF - Rounding the area from the middle of the foot to the heel. Better fitting insole design (heel). Produce quicker more nimble footwork.